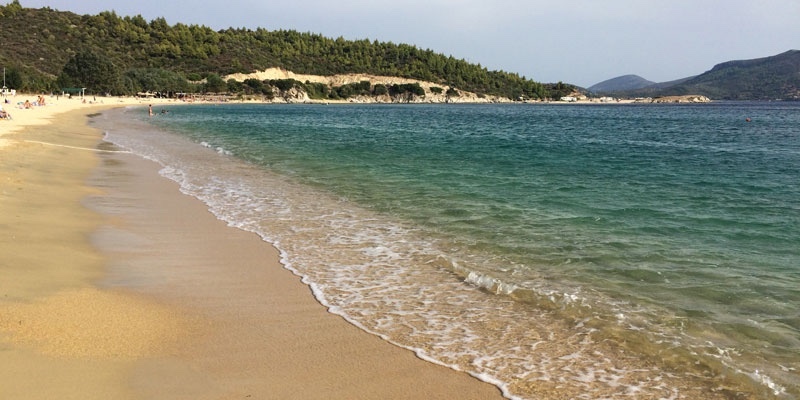 Destinika beach is Toroni’s beach with individuality. 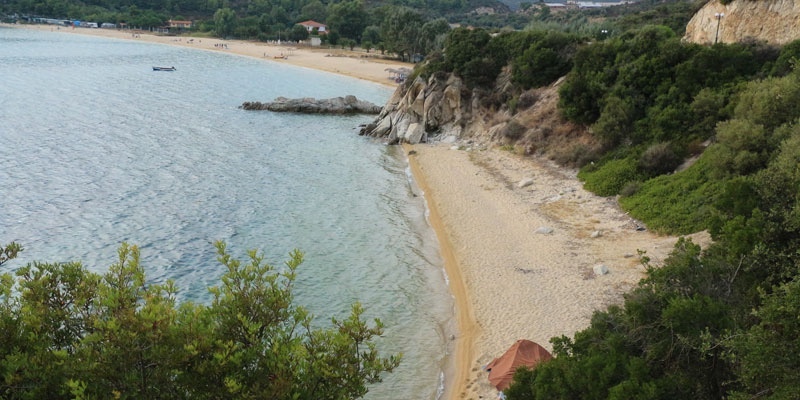 This little calm bay comes in between and divides the long Toroni and Tristinika beaches pretty much in half. And while Toroni and Tristinika are almost identical in character, Destinika just has to be different as we will explain. This beach is often passed by and doesn’t look like a great beach from the road, but tells a whole different story when you are there. There is minimal organization on Destinika beach. 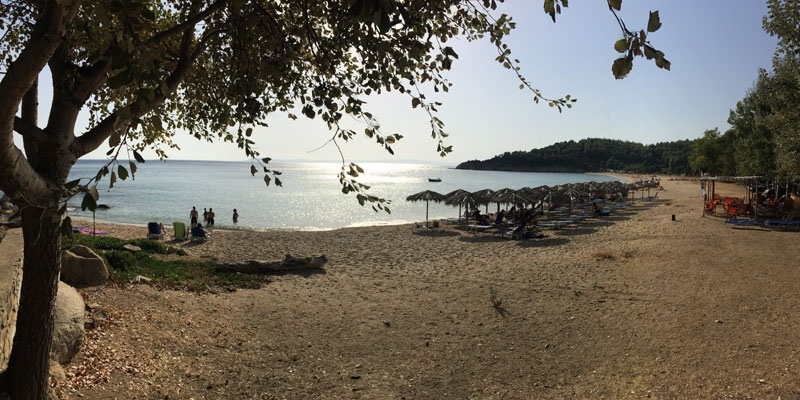 A taverna/beach bar on the southern end provides sun-beds and umbrellas and is a good place to get your kalamari and beer. Other than that, the beach is free for your enjoyment and mostly appreciated by those who were fortunate enough to book their apartment nearby. 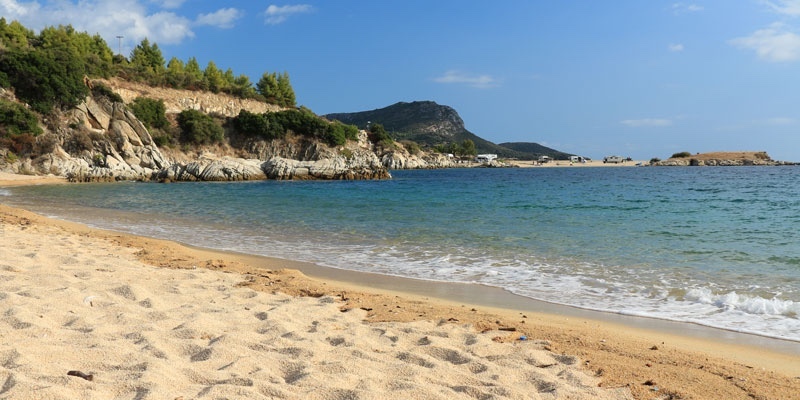 The sand is fine, not the coarse sand that you get in Toroni and Tristinika. The water here is shallower than you get at the other two beaches so this makes it a great beach for children. 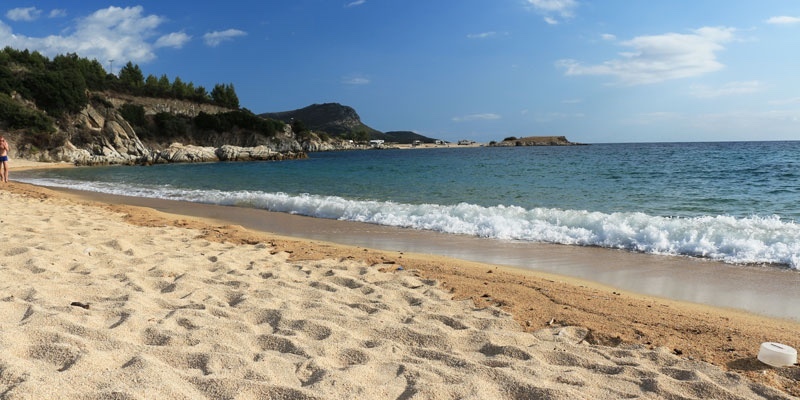 The sea bottom is sand and because of the protected bay, the water here is calmer and great for swimming and wading. 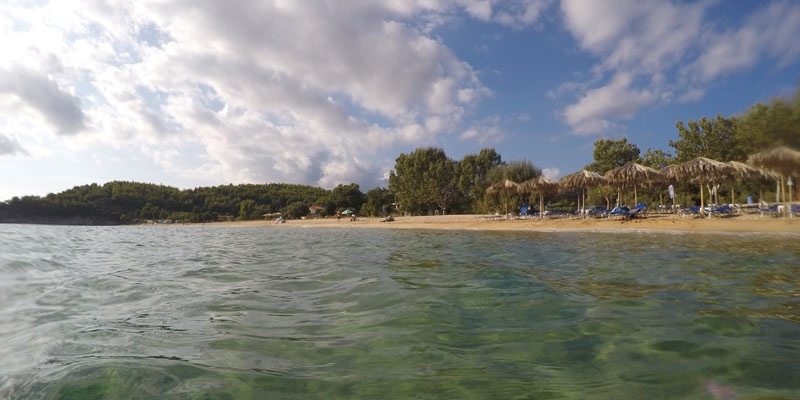 Snorkeling is good around the rocks by the taverna. Few people. A shallow beach for the area and calmer water. 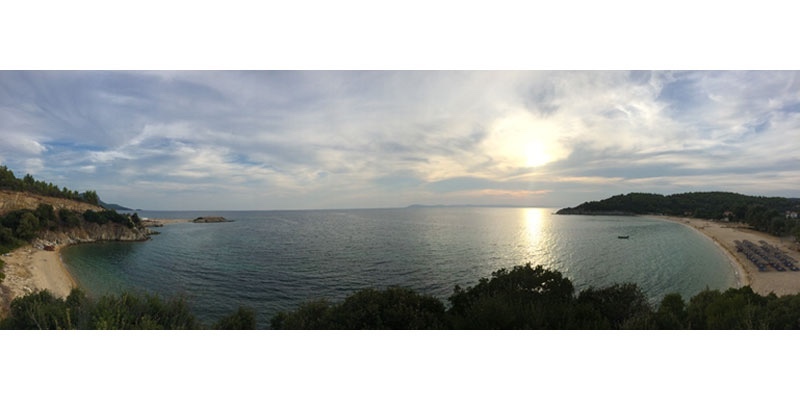 Nice view from the taverna. Good for children. It’s hard to fault this beach. From Toroni, head north on the main village road. 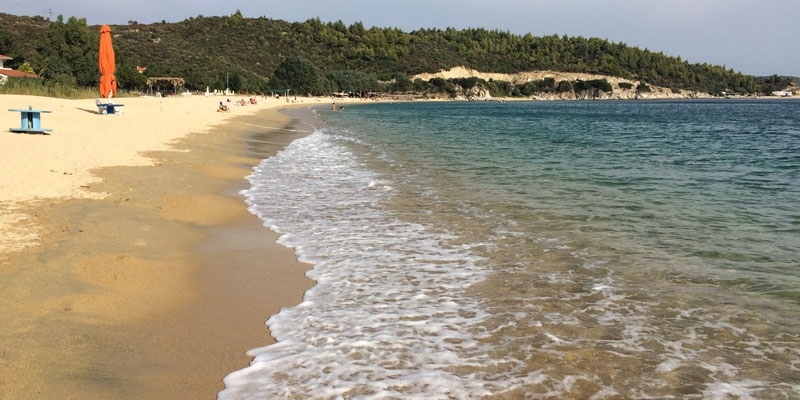 You will pass the little beach normally with campers at the end of Toroni. Follow the road as it turns the corner and then down to Destinika. Try this beach, you probably will like it. Those who come here usually return.